Yoga looks at life as the combined experience of our physical, emotional, mental, and spiritual selves. What we might consider today as separate spheres of concern – physical fitness, artistic expression, psychology, and so forth – were considered by the ancients to be interconnected aspects of one complete whole. Traditionally, this idea is presented as a model of five “bodies”, or layers of experience, which we gradually learn to cultivate and harmonize through the practice of Yoga. In this retreat, attendees are immersed in a comprehensive system of practices and teachings, designed to bring about an embodied experience of each layer of the self. 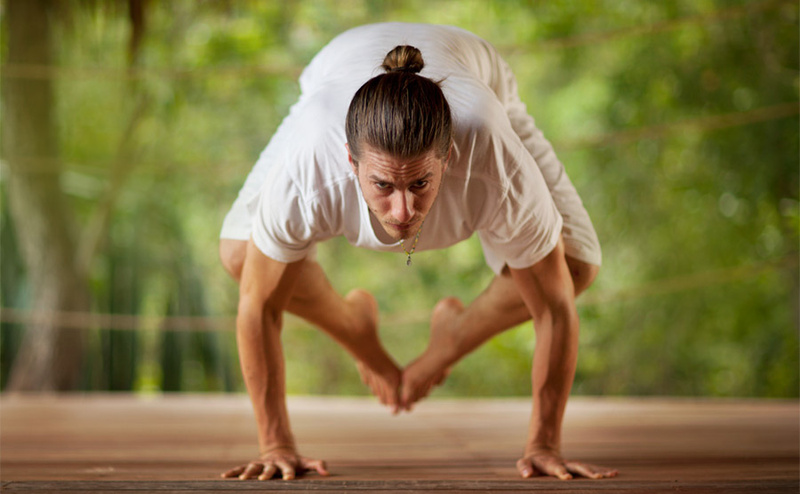 Beginning with physical and energetic techniques from Hindu and Taoist Yogas, then moving to group and individual work for emotional clarity and mental concentration, this gradual progression culminates in a “full-body” practice, meant to align and integrate a personal yoga practice across the full spectrum of one's being. Addressing a mysterious and often misunderstood esoteric subject, this workshop sheds light on the centers of force, located in our energetic structures outside our physical bodies. Besides thoroughly elucidating the framework of the chakra system according to Indian Yoga, the better part of the workshop time will be dedicated to exploring their practical relevance in daily life. Hatha-Yoga, different forms of meditation, music, and energy inductions are being used creatively to help exemplify how the chakras relate to the different states of consciousness accessible to the human being. This workshop combines fascinating theory with easy-to-relate-to everyday examples of how to better understand yourself, others, and the world we inhabit. This course invites you to embark on a holistic cleansing journey through the ancient healing arts of Shat-Karma, the yoga practices of purification. The inside-out approach of Shat-Karma has been used throughout history to break patterns of addiction and habitual behaviour, to eradicate disease and negative emotions, as well as to relieve stress, purify the internal organs, still the mind and to invoke inner peace. Instructions on a number of special techniques called kriyas, designed to efficiently eliminate toxins while restoring balance throughout your entire being, will be given. Besides addressing and elucidating the importance of continuous purification, additional talks on Ayurveda and its relationship to daily food intake will help to determine exactly which foods are best suited for you so that you can remain light on your feet and in your heart for the rest of your life. Addressing a very important gap in modern times, this workshop delves deeply into the study of the phenomenon of death and its spiritual significance. While the course draws heavily from Tibetan Bardo Thodol study and practices, the traditional esoteric information is supplemented with the findings of modern researchers from the field of transpersonal psychology. The dying process, from the hours preceeding the moment of clinical death to the transmigrational phase in the subtle realms of what is known as the Bardo, will be analyzed carefully, and pracical techniques from Indian and Tibetan Yoga will be incorporated alongside of methods from parapsychology. This workshop will shed light and clarity to an issue often clouded by taboo, embarrassment, and fear, and it is hoped that attendees feel assisted and empowered to overcome their own fears surrounding one of life’s greatest passages. Besides doing away with misconceptions and inspiring people to prepare for their own deaths, the course has the ambitious goal of assisting in training people to help loved ones die more easily, more happily, more consciously, and with more dignity. Combining traditional Yoga (Agama Yoga style, see Agama Yoga 101 above) with practical applications of the power of sound, vibration, and the human voice, this unique workshop centers around the opening of the heart. An empowering and safe space that unconditionally encourages participants to relax, let go, and connect with their essence is being created and maintained throughout the retreat. On a theoretical level, contemporary musicology is coherently wedded with the study of the arts according to the understanding in ancient India. This workshop is usually co-taught by an Agama Yoga Teacher and a seasoned kirtaniya who will lead the chanting, bhajan, and kirtan sessions.